← 2017 TLA Summer Intern Program Applications now being accepted! 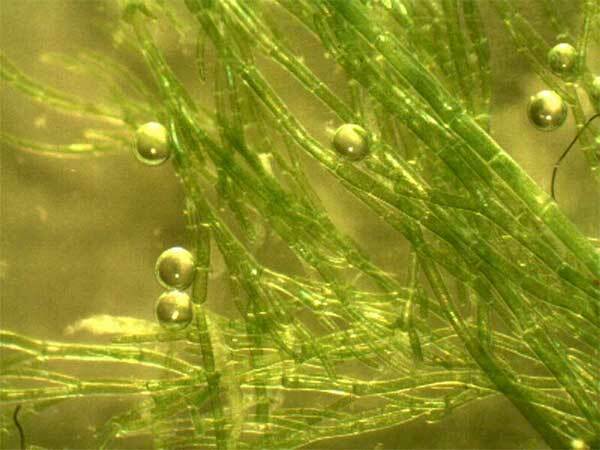 Cladophora is algae that has been found at various locations on Torch Lake, Clam Lake and Lake Bellaire. It is one measure of the overall water quality in lakes. Three Lakes Association has performed this survey in the past in 2010, 2004 and 1983. The Three Lakes Association is planning to do another shoreline Cladophora survey around all 62 miles of shoreline, including Torch, Clam, and Bellaire lakes. The last survey was done in 2010 (2010 Cladophora Survey), so it is timely to do another one this summer. We hope to complete the entire survey within the last three weeks of July, 2017. In order to accomplish this task, we will need some help. Listed below are a number of needs that we ask you to consider helping us with. Please complete the attached form, Cladophora_volunteer_request_form (Word) or Cladophora_volunteer_request_form (PDF), by including your contact information and marking the box(es) for any of these items you are able and willing to help us with and send this back to me so I can draft a schedule of activities. 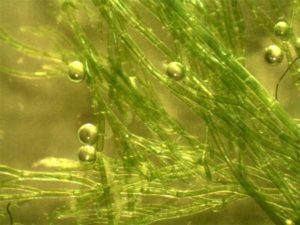 By boat or wading, estimate the size (length and breadth) of any Cladophora patches and filament length of the algae. Record on the field notes the Cladophora patch size estimates, GPS location, and description of site, e.g. house color, drainage pipe, whatever distinguishes the property. When required, collect samples of algae and / or water. Provide equipment – life jackets, paddle boards, kayaks, canoes, rowboats for use of field volunteers. Launch and pull out of water craft, overnight onshore storage of watercraft. Rest stop and picnic stop opportunities. Provide transportation of paddleboards or kayaks to launch sites or from pull out sites. Provide transportation and parking for volunteers. Drive water samples to the lab in Traverse City. Unable to help this time. If you have questions, please call Becky Norris at 231-599-2894 or email at norrisrebe@torchlake.com. Any help you can provide will be greatly appreciated. Please return your completed form as an email attachment or by US Postal Service at 6022 Aarwood Rd NW, Rapid City, MI 49676.